Mike Bailey is the drummer for the Bret Michaels Band. A man of many talents he is also the President and Artist Relations Director for Potomac Records. The D.C. native studied TV and Radio Production at Columbia School of Broadcasting. What were you like as a kid? What are some of your most fond memories from those days? I’m the youngest of 3, with 2 sisters that never lacked pranks on their baby brother. We were raised in a northern Virginia suburb (Chantilly) outside Washington DC. At 7 years old, several of the neighborhood friends, ala The Sand Lot style upbringing with street sports, and music, would rock out to KISS with tennis rackets, jump on top of couches and chairs, playing the roles of our favorite KISS member. I was always Peter Criss of course. In the 4th grade, neighborhood friends Jeff Pringle, Bobby Sparks, Duane Sibole, and I performed (pantomime) KISS’ I Was Made for Loving You in full costume and make-up at the Brookfield Elementary School Gong Show; dried ice, strobe lights, blood capsules, the works. Unfortunately, to a lot of adults at the time, KISS was also known as Knights in Satan’s Service, being one of them, music teacher Ms. Mayo gonged us. And of course the kid playing Elvis, won. Go figure. In retrospect, this was my very first experience in front of a crowd, playing in a rock n roll band, even if only lasted 2.5 minutes (laughs) it’s a memory I’ll never forget. Did you discover your love of music at an early age? Who were some of your influences? Do you happen to remember you very first favorite song? It’s the typical story of banging on pots and pans, and anything else that made noise, at a very young age. But my first real introduction to the drums was when my Aunt (Libby) in Alabama shipped me a Toys R Us drum kit for Christmas when I was 5. After destroying and replacing a few more Toys R Us kits, my Dad bought my first real drum kit when I was 9. It was a standard 5 piece kit, and remember him telling me if there’s anything else I want to add to the kit, I would have to work for it and buy it with my own money. I was so excited to finally have a real drum set, getting a new cymbal stand and cymbal, or hi hat stand, was something I was happy to work for, and in turn instilled a good work ethic at a very young age. Elvis Presley ruled our household. Although I don’t recall my first favorite song, I’m sure it was an Elvis, Dolly Parton, Chubby Checker, Buddy Holly, or a Creedence Clearwater song. I am thankful for my parent’s diverse genres of music they listened to. The first live concerts I went to were The Beach Boys, Dolly Parton, Chicago, and Alabama. I’m proud to say I was able to see some of the 80’s best rock bands at the height of their success. Big influences were Motley Crue, Ratt, Bon Jovi, Tesla, Poison, and Savatage. Tommy Lee was my first true inspiration. The sheer power, and passion he plays with is an amazing combination that separated him from the rest. How would you say you have changed most since then? I’m not sure how much I’ve changed, other than growing as a human being and trying my best to be patient and kind to others. 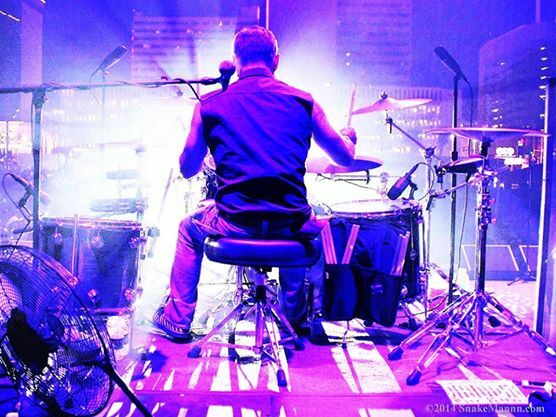 One thing that has never changed, is the excitement I feel when sitting down on my throne, and playing my drums. 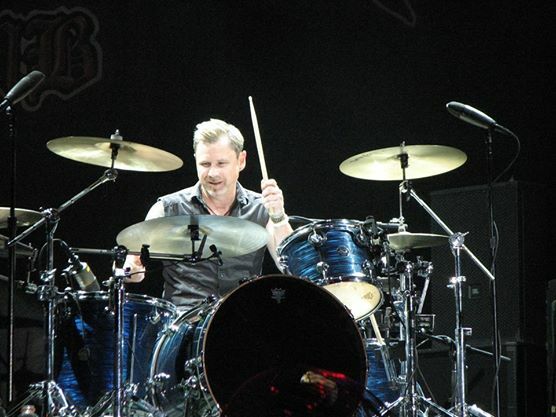 As a kid, a teenager, and young adult, the end goal was always to play my drums for a living. And I’m grateful to Bret, and my lifelong brother in music Pete Evick, for the opportunity to fulfill that goal. Life is good! I believe men in general thrive on being a part of a team, regardless of age. Working together to achieve a common goal. Whether it be a local motorcycle chapter, a bowling league, coaching local sports, etc… I’ve been playing in a band since 14, with very few breaks in between then and now. I’ve been fortunate to play with some unbelievable musicians, and learned the roles each play in order for the operation to run smoothly. Of course not all were smooth sailing ships, but those experiences are necessary when learning how this business works. What would you say is the most valuable thing you learned in your training in TV and Radio Production? What led you to study that? Although I worked for a limited time in the broadcasting field (Engineer – WTOP Radio Washington DC), the education and experience helped me understand pre and post show production, and what goes in to putting together a radio or television show. As well as understanding the sales side with radio and television marketing, and the importance of the show content and advertising to the correct demographic / audience. Can you tell us a little about Potomac Records? Potomac Records was established with one primary goal in mind, to utilize our experience in the music industry to introduce the rest of the world to the amazing talent in and around the Washington DC, Maryland, and Northern Virginia area music scene. By leveraging digital technologies currently available; including the world’s largest digital distribution network, digital download gift cards, custom USBs, and professional services to assist the artists career. Potomac Records artists’ music is available on 100+ Digital Media Outlets (Worldwide). We have also been fortunate to participate in various local (VA/DC) fundraising and charity events the past 3 years. And I’m proud to say Potomac Records has raised a substantial amount of money for several amazing charities. I believe in karma, and believe it’s not only right to get involved and help the community I was raised, but it’s also a way to get the community together to enjoy great music while giving back to a great cause. Scott McLean, Vice-President and Events Director is in charge of all of all Potomac Records Charity and Artist Showcase events. 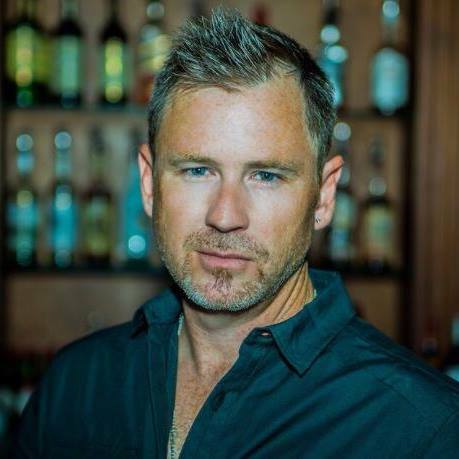 As a lifelong drummer, and Captain with the Prince William Country (Va) Fire department, Scott’s skill sets and experience is perfect to handle, develop, and grow the Potomac Records Entertainment Group. I feel blessed to have a great core group of people around me, which is essential to the success of the Label. What is it like to work with Bret Michaels? What would you say the most important thing you have learned from him would be? What is he like as a person? That’s easy… work hard, every day. Bret’s consistent work ethic is inspiring. If you lay down and relax, you can’t expect the world to stop spinning and wait for you to wake up. 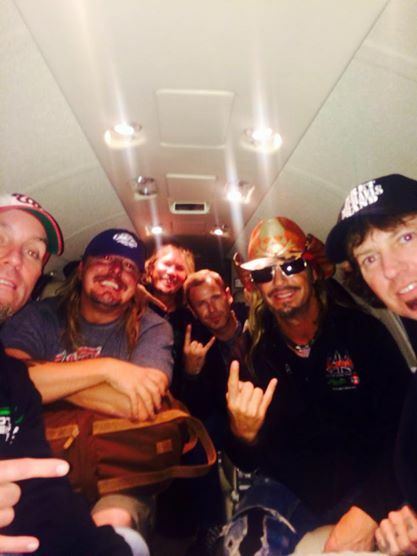 What about the rest of the Bret Michaels Band, what is it like being a part of that? Although cliché to say the guys in the band are my brothers, but our roads leading to BMB came from the same music scene and same town, Manassas Virginia. I’ve been in bands with Pete Evick and Bart Harris since High School, we signed a minor deal in our mid 20’s (1996 – Sol 3 Records). The band, Some Odd Reason released To Whom It May Concern and supported the release with 3 years of solid gigging around the United States. Together we drove across the country in a frequently broken down RV, playing anywhere and everywhere we could get a gig. We have a lot of history together, the dynamic we have performing together is natural, and proud to share the stage such talented players, and friends of mine. For me, performing is the easy part. It’s getting all of the components together to be able to get on a stage and perform that can be difficult. There’s not many things as powerful as performing in front of a crowd, the energy between the band and the audience is something I wish every person could experience, it’s an amazing experience. I was constantly in and out of the emergency room as a kid. I was pushed through a 1 story window at age 3, hit in the eye by a belt buckle at 4 (blood everywhere…thanks Sis! ), hit by a car when I was 8 and was blind for 24 hours (swelling / concussion)… to name a few. I was all boy, and in to everything! What advice would you offer to anyone wishing to work in the music industry of today? Good advice would be to learn as much as possible from your peers, and keep up, because the industry is constantly changing. How music gets to the listener is always changing. There will always be great music being made, it’s utilizing current technologies, managing your band like a business, and building relationships that will get the artist to the next level. How do you think the industry has changed most since you first started working in it yourself? I worked at the Sam Goody Record store in Manassas Mall (VA) all through High School, and glad to have had that experience. I’m all for technology and the evolution of the music industry. My label’s business model reflects the new music business. Potomac Records releases are exclusively digital, to every digital media outlet available (worldwide). Artists can utilize technology to build a support base outside their home base/town, which wasn’t easily achieved a decade ago. What’s important, just like in any sales job, is the follow up. You can get someone in another state to listen to your music, but it’s even more important to bring your band/music to the listener. Which will lead to selling your bands T-shirt and other various merchandise. The best advice given to me was by my father, to always “think before you speak Michael”. It’s remembering this and trying my best to apply it in all areas of my life. BMB is currently tracking new material, all of us are very excited and motivated to have an amazing year in 2015! For my label, Potomac Records have several new releases in early 2015; including NobyuS (Hip Hop / Rap), Alex Anders (Country), and Kara Davis (Pop/Rock), as well as 2 upcoming Charity Events raising money and awareness for a fallen Firefighter, an Animal Rescue, and Adoption benefit. There’s a lot going on with both Potomac Records and the Bret Michaels Band, and can get a little crazy at times having so much on my plate, but when it’s something you love, and passionate about, it’s not work. For more information on Potomac Records please see Potomac Records and/or Facebook. And for the latest on the happenings in the Bret Michaels Band, BretMichaels.com.